"The practice of estate planning should not involve the one-size fits all approach. It is our practice to strive to hold true to the adage – seek first to understand then to be understood. When such an approach is realized, we are able to offer sophisticated and valuable counsel to meet our clients’ needs at an individualized level." 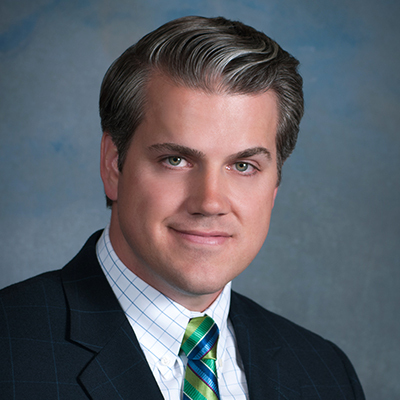 A. Collins Hunsaker is an associate attorney at Jeffrey Burr. He has focused his practice to the areas of estate planning, asset protection, and taxation. Collins is a graduate of Brigham Young University, having obtained a degree in Political Science (BA). Collins earned his Juris Doctorate (J.D.) from Chapman University School of Law. Upon the completion of his J.D., Collins continued at Chapman University School of Law and obtained a Master of Laws in Taxation (LL.M.). While attending law school, Collins gained valuable experience in his participation in the Low Income Taxpayer Clinic by providing representation to low income taxpayers before the Internal Revenue Service and in the U.S. Tax Court on audits, tax collections disputes, and a number of other tax related issues. Collins was the recipient of two CALI Excellence for the Future Awards for high grade honors in the study of Tax Exempt Organizations and Income Taxation of Trusts, Estates, and Beneficiaries. Collins is licensed to practice law in Nevada.